September has come and gone and here we are on the cusp of Google’s Pixel hardware event. This time next week, we will hopefully be sharing news of a new Pixelbook, the Pixel Slate tablet and apparently, a truckload of other new hardware from the folks over in Mountain View. Exciting as that is, like me, many of you have been chomping at the bit to get your hands on Acer’s latest flagship devices that were supposed to hit shelves last month. A contact at Acer has assured me that the Acer Chromebook 13 and Spin 13 we’re on the way “very soon” but I wasn’t given an official date. Clearly, the September launch has been delayed but thanks to one of our readers, it looks like October 11th could be the day. Well, at least in Germany and surrounding countries. @Wesley_R shared with us a link to a price comparison website that shows more than forty listings for the Core i5 variants of both the Chromebook 13 and Spin 13 counterpart. 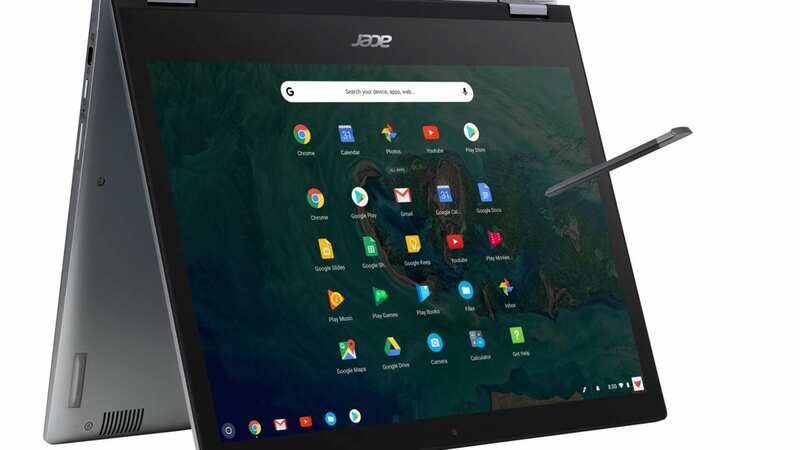 Many of the listings show shipping dates of 1-3 weeks but a handful of the online stores based out of Germany and Austria show the Acer Chromebooks as being available on October 11th. This isn’t an uncommon occurrence. For whatever reason, online resellers across Europe have a history of pre-listing devices before their official availability is released from the manufacturer. More often than not, the dates attached are quite accurate as they are likely the launch dates given to the sellers in the product data sheets used to create the listings. The four models showing up are all of the Core i5-8250U variety and include 8GB or 16GB of RAM. Three of the devices are equipped with 64GB of storage while the top-tier model is rocking 128GB. Nice! What’s even better about the listings are the preliminary price tags attached. For roughly 1050 Euros you can get a 13.3″ convertible that sports a beast Core i5 processor, 16GB RAM, 128GB storage and high-res 2256×1504 display. Not to mention the fact that it comes with a garaged stylus and A BACKLIT KEYBOARD! That price puts the high-end flagship right at $1200 US and while that may bring about sticker shock for many, we’re talking about what will be one of the most powerful Chromebooks in existence. The Pixelbook is a great device but the mobile-centric fanless chips in Google’s Chromebook and the HP Chromebook x2 can’t even dream about benchmarks anywhere in the realm of the Acer. With the addition of Linux apps, the Acer Chromebook 13 and Spin 13 will be an Enterprise market dream device. Power, portability and versatility should make this Chromebook another big win for Acer. We’ll be frequently checking US sites for the Chromebook 13 to show up and hopefully, we can get our hands on one very, very soon. Special thanks to Wesley for the tip. You can check out all the listings here.